In order to comply with the strict new European rules, Apple is revamping the privacy controls for its devices and cloud services, Bloomberg is reporting. In the next few months, Apple will update its web page for managing Apple IDs to allow users to download a copy of all their stored data on Apple’s cloud servers. The report notes the upcoming changes to Apple’s website will let users correct personal information, temporarily deactivate their iCloud account, or even delete it completely. Apple says the new privacy controls are designed to comply with the European Union’s General Data Protection Regulation, which goes into effect on May 25. 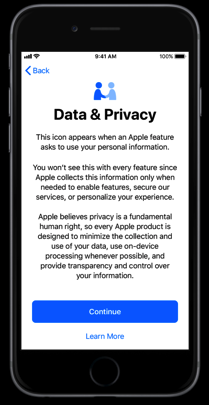 Furthermore, Apple has updated its operating systems for iPhones and iPads, Macs and Apple TVs with a splash screen detailing the company’s privacy stance. Apple’s new web-based privacy options will be released for users in Europe in early May, while the features will come to other countries later. Previously, users could download their data, correct their information, and delete accounts by contacting Apple directly. This is the first time the company is offering these capabilities in a single location online. The web page will let users download data stored across individual apps and services. For instance, they will be able to download all information stored in Apple’s Contacts, Calendar and Contacts apps and media like photos, but also preferences like songs they stream via Apple Music. At a recent summit in China, Apple CEO Tim Cook said “the ability of anyone to know what you’ve been browsing about for years, who your contacts are, who their contacts are”, shouldn’t exist.